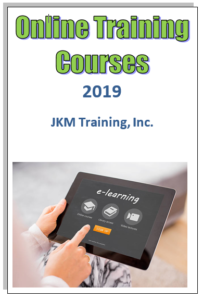 Online Learning Center – JKM Training Inc.
Staff can be certified or recertified in Safe Crisis Management Theory by completing online course! This course includes all of the SCM Theory content. The online learning course does not teach or assess staff’s content knowledge or physical skills relating to implementation of SCM Emergency Safety Physical Interventions and Escapes. If you would like a staff person certified in SCM Emergency Safety Physical Interventions, he/she must complete that part of the training with your organization’s SCM Instructor. 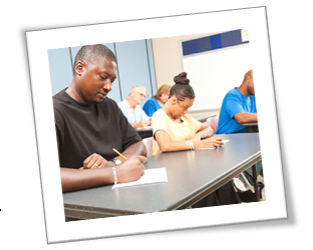 Staff must complete course with a score of 85% or higher to be certified in SCM Theory. This course can be taken in an unlimited number of sessions. Staff can exit the course at any point and resume where they were last in the course. The only exceptions include the section review quizzes and course test – these must be completed in one sitting. This Online Learning course is for those that have been certified or recertified in SCM Staff Theory within the last calendar year. This course includes a review of the SCM content followed by a Test to assess staff’s knowledge. 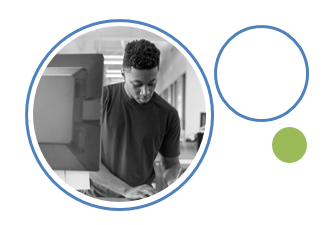 This online learning course does not teach or assess staff’s content knowledge or physical skills relating to implementing SCM Emergency Safety Physical Interventions and Escapes. If you would like a staff person recertified in SCM Emergency Safety Physical Interventions, he must complete that part of the training with your organization’s SCM Instructor. This course can be taken in an unlimited number of sessions. Staff can exit the course at any point and resume where they were last in the course. The only exceptions include the section review quizzes and the course test – these must be completed in one sitting. Only staff currently certified to use Safe Crisis Management may take this course. Staff must complete the SCM Staff Annual Recertification Training – Theory Online Learning course with a score of 85% or higher to be certified in SCM Theory. This one-hour online course focuses on understanding students’ acting out behaviors and implementing SCM concepts at the elementary school level. Included in the course are practical strategies derived from the SCM curriculum but tailored for implementation in the classroom setting. This online course is for SCM Instructors who would like to receive certification to tach the SCM Parent Training curriculum. SCM Instructors successfully completing this online course will be certified to deliver the SCM Parent Training curriculum to parents and family members of the children and youth currently served by their organizations. No recertification is required. The parent training curriculum uses core concepts found the current SCM program. These concepts have been reduced in scope and shaped to address child and youth behavior issues occurring within the family life experience. The parent training curriculum is arranged in topic-specific sections, focusing on two major areas. The first area includes the topics of prevention, behavior dynamics, responding to behavior and after-incident resolution. The second area, which is optional, includes emergency safety physical interventions and personal safety techniques. Prevention strategies are critical to decreasing and eliminating behavior incidents. However, even with consistent implementation of prevention strategies, staff may still be faced with managing and responding to behaviors of concern. 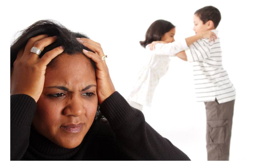 This course provides tools and strategies to effectively manage these behavior incidents and respond in a way that facilitates de-escalation. The purpose of this online learning course is to provide the user with information that is critical to the appropriate use of seclusion. Information presented includes important factors to consider when using seclusion and best practice strategies to help personnel appropriately use seclusion as mandated by the Kentucky Administrative Regulation 704 KAR 7:160. Seclusion topics include understanding the definition of and criteria for using seclusion, appropriately implementing seclusion, monitoring a student in seclusion, documenting an incident of seclusion, and the after-incident process (notifications and debriefing). 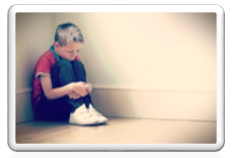 Programming and strategies designed for the prevention of seclusion are not covered in the scope of this course. However, preventing and reducing incidents of seclusion should always be the priority goal. The course is web-based and takes approximately one to two hours to complete. The course does not have to be completed at one time. A user can stop the course and restart at any time where he left off. The course includes a 25-question test. A Certificate of Successful Course Completion is immediately available for download for those scoring a minimum of 85% on the course test. This course is approved for 2.0 EILA credits hours.